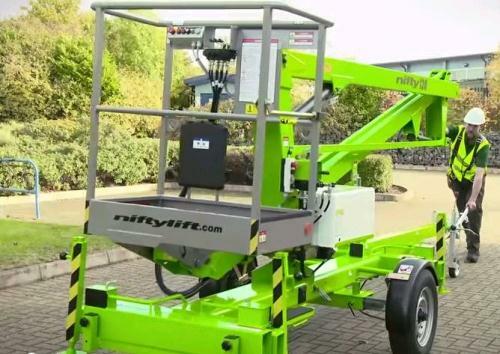 The Nifty TM34 is a robust and versatile cherry picker. It has retractable axles that allow it to pass through a 3ft 6in wide opening or doorway giving better access to applications. 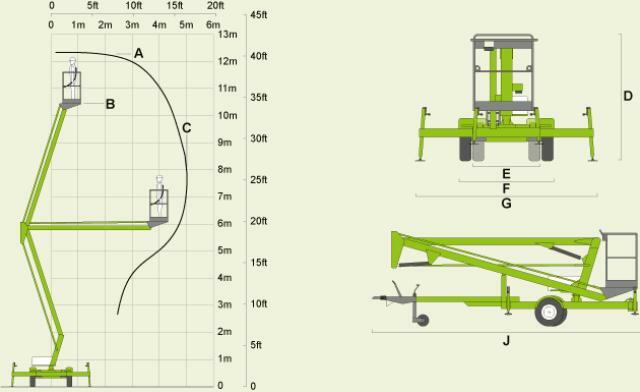 As standard, the TM34 cherry picker comes with manual outriggers which are cost effective and simple to setup, but there is also a hydraulic outrigger option to help save time and energy when setting up. Operation is quick, easy and precise due to reliable fully proportional controls and its versatile battery power pack enables it to work inside and out quietly and with zero emissions. The TM34 cherry picker is a fast, cost effective and safe alternative to ladders and scaffolds. 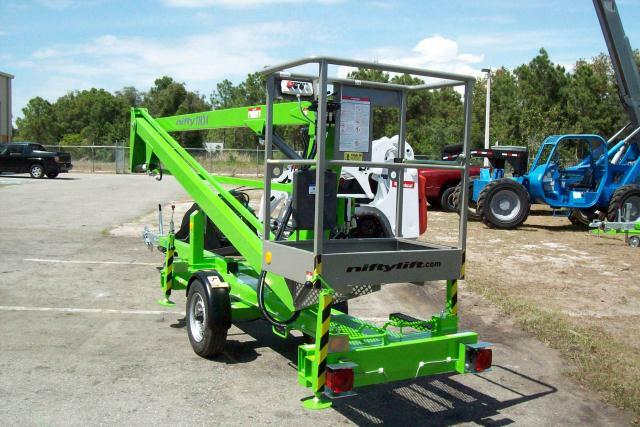 * Please call us with any questions about our towable manlift 35 ft manual rentals in Omaha NE and Western Iowa.